PT Toyota Astra Motors (TAM) is optimistic staring environmentally friendly car market in Indonesia with the launch of New Alphard 2.5 G Hybrid 4x4 exhibition Gaikindo Indonesia International Auto Show (GIIAS) on Saturday. 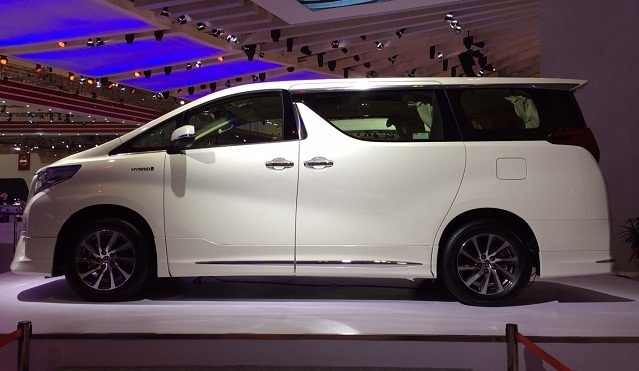 New Alphard 2.5 G Hybrid 4x4 becomes the third vehicle launched hybrid engine Toyota Indonesia after the Toyota Prius and Camry Hybrid. "Based on our experience to the Camry Hybrid, hybrid cars have considerable market opportunities for could sell 20-30 units a month," said Rahmat Samulo Marketing Director of PT Toyota Astra Motor in Serpong, Tangerang, Banten, on Saturday. "It means that the people of Indonesia want a car with the best technology," said Rahmat Samulo. Samulo Rahmat said the hybrid car has become a trend in some developed countries such as Japan and the United States. "In Japan gait hybrid tolerable as it gets support from the government, while in Indonesia is still in talks," said Rahmat. In addition to hybrid car, the Toyota also predicts the trend of conventional cars will lead to a technology that is more environmentally friendly and fuel efficient. "The trend in the short term, two to three years ahead are still owned a conventional car, but the move toward more environmentally friendly," said Rahmat Samulo.